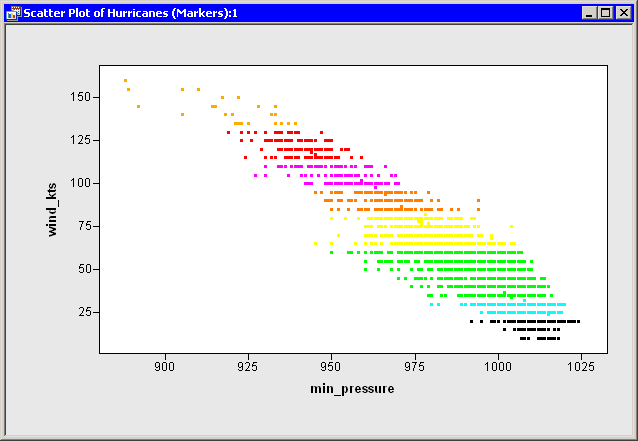 For example, in the Hurricanes data set, you might want to color observations by using the category variable that contains the Saffir-Simpson intensity of the cyclone as given in Table 9.1. Add the following statements at the bottom of the program window, and select Program Run from the main menu. The resulting plot is shown in Figure 10.2.